On behalf of the Management Committee of the Essex Olympian Football League I am pleased to report another strong season for the League Clubs. The dominance of the Essex Saturday Premier Cup continues with the last 8 teams in the Competition coming from the EOFL. The Cup was won by Catholic United but later awarded to Harold Wood Athletic. The Junior Cup was also won by a team from this League as May & Baker EC Res won the Essex Junior Cup on penalties. This year we moved our Cup Finals to Bishops Stortford FC with all three events well attended. 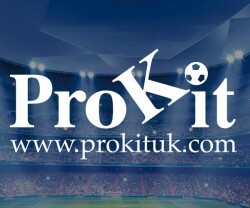 Our thanks to our sponsors, ProKit UK for their support at the stadium. Sadly we all lost a great servant to football with Steve Coombs from Manford Way FC and the EOFL Management Committee passing away. Steve will be missed by all. The League lost a number of teams during the season, another sign of the challenges that the game faces. Only by working together at all levels and with all stakeholders for the game can these challenges be overcome. The EOFL is working with other Leagues in the County to implement best practice in football administration and on the development of football at grassroots to help Clubs grow. Next season will see player registrations move on-line through the Whole Game System. We have been working with the County FA, the Mid Essex League and the Vets League to prepare for this change. The majority of our member Clubs work hard with available resources to maintain and improve their facilities. There are grounds that need improvement to maintain the standards of the League and that set by other Clubs. The League are looking to meet that challenge by having a dedicated resource to look at Club facilities and together with support from the Management Committee, help raise standards where required. On the pitch it was another thrilling season for this competition. Kelvedon Hatch won the traditional curtain raiser by lifting the Senior Challenge Cup. Senior Division 5 was won by Basildon Town Res without losing a game with Sungate Res finishing runners up. Senior Division 4 champions were Manford Way Res with White Ensign Res runners-up. M & B EC Res were clear winners of Senior Division 3. The scrap for second place eventually gained by Rayleigh Town Res. Sungate gain back to back promotions by becoming Champions of Senior Division 2. FC Hamlets were runners-up. Basildon Town and Catholic United ran away with Division 1. Basildon Town took the title with Catholic gaining promotion for the third season in a row. Springfield became Premier Division champions for the first time with a strong run in as they overtook long time leaders Hannakins Farm. Lakeside won the Under 21 Division title and Corinthians were runners-up. Southend Manor won the Under 21 Denny King Cup against May & Baker EC. The final saw a very open contest with Manor making the most of their chances. The Under 21 section is about development and it clearly is helping some Clubs and retaining players that would be lost to the game. Academy Soccer and Collier Row, following a number of seasons at this level, are now following Dagenham United by entering teams into the Senior section. Basildon Town capped off a remarkable season for the Club by winning the Senior League Cup, which they last won way back in 1968/69, meaning that they completed a Senior and Reserve double. Basildon Town’s Reserves added the Reserve League Cup to the Division Five Championship. Congratulations to all at the Club. The Leading goalscorer for the season was Drew Klessa-Smith with 58 goals from 24 appearances. Marcus Bowers was the highest scorer from the Senior section. For the sportsmanship awards Newbury Forest won the award for the best Club with Catholic United Reserves, the best team. In other awards the Club Linesman of the season is Jim McManus from Benfleet, David Bloxham is the Referee of the season. Ted Davenport of Sungate FC is clubman of the year and Gordon Evans takes the Patron’s award. Congratulations to all the award winners and thank you for your commitment to your Clubs and the League.